There’s no shortage of awesome adventures in Germany; from wingsuit flying to paragliding over the Alps, you can do it all. 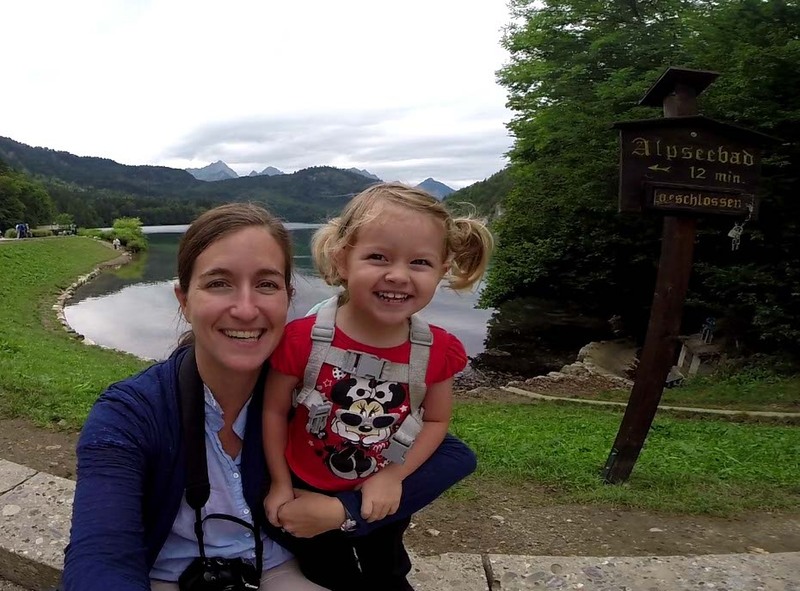 What sights should you visit when traveling with your family, especially young children though? Most families assume that because they have young children, they should stick to all-inclusive resorts in the Caribbean but it doesn’t have to be that way. After a two-week, whirlwind adventure in Germany, I’ve come up with a German bucket list of ten family things to see and do while you’re in the country. Since traveling with a toddler can be so difficult, I’ve decide to make a toddler addition. And to prove how manageable it is, I’ve traveled to each of the destinations during two weeks on my own with Athena. If I can do it on my own, you can definitely do it as a family. Do you want to see what it feels like to have Germany at your feet? Visit Mount Zugspitze! At 2,962 metres above sea level, the Zugspitze is the highest mountain in the country and home to three glaciers and Germany’s highest ski resort. Right at the top, an impressive 360° panorama opens up to reveal extensive views over 400 mountain peaks in four countries. The spectacular views are just part of the adventure. Riding the cable cars are equally fun for children. The transportation in Germany is as exciting as the destination. Tip: The meter-gauge rack railway, Zahnradbahn, begins in Garmisch next to the railroad station and travels along the valley to Grainau and on to Eibsee before ascending the Zugspitze under cogwheel power. At the Zugspitzplatt, 2600 meters up the 2964 m mountain, you switch to the Gletscherbahn aerial cable car for a quick ascent to the summit ridge. Total travel time is 75 minutes from Garmisch. Riding the train in Germany proved to be way more beneficial than I anticipated. It’s quick, cost effective, and runs like clockwork. Other passengers are friendly and helpful, especially when traveling with children. Athena loved getting her own ticket and playing with Mommy while traveling. I didn’t need to worry about driving myself so I could focus all of my attention on her and the spectacular scenery. Tip: Use the DB Navigator to find the best times and connections. 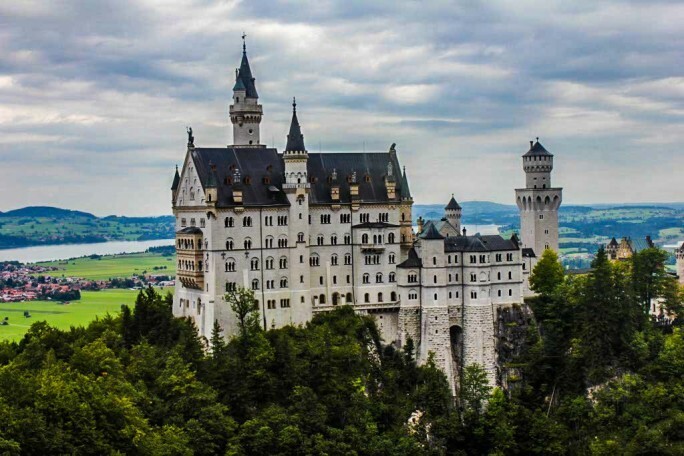 Neuschwanstein Castle should be on everyone’s bucket list regardless of age. It’s ideally situated with the Alps on one side and flatland on the other side. Although its history isn’t as pretty, the castle itself is fairy tale worthy. You don’t even have to go inside to appreciate its beauty. Just stand on the neighboring bridge and reveal in the remarkable seven stories of greatness. Tip: Take the bus up to the castle and walk to the bridge before going inside. Then, take the horse and carriage down to complete your enchanting experience. If you do want to visit the inside for the full experience, be sure to book your tickets in advance and avoid the excessively long lines. One of the biggest tourist attractions in Füssen are the boat tours on the idyllic Forggensee Lake. 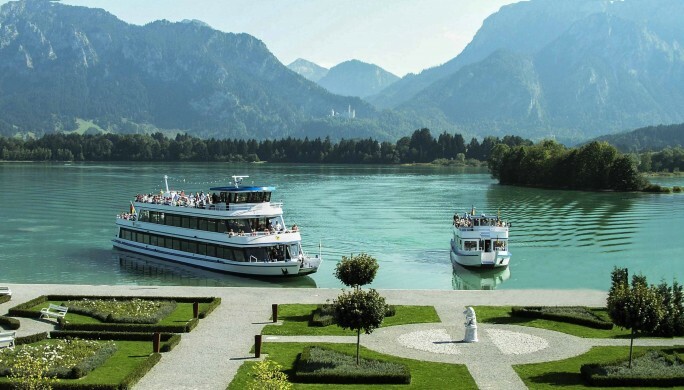 They offer amazing views of the surrounding mountainscapes, the city of Füssen, and of the world famous castles Neuschwanstein and Hohenschwangau. Tip: If you are getting on in the boating harbor of Fussen, go early and visit the playground. It’s equipped with swings, a slide, and other toddler-friendly play areas. Athena was able to burn off some energy before the hour-long boat ride. Also, visit the top deck of the boat for more child-friendly areas. 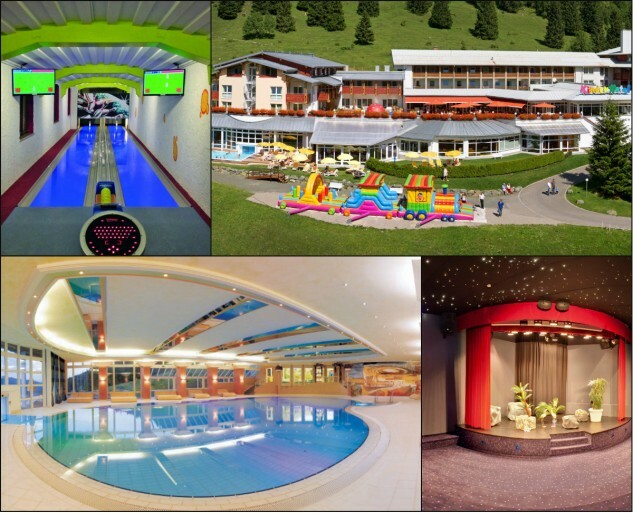 Kinderhotel Oberjoch is a child-friendly, all-inclusive hotel located in a sunny Alpine valley 1,200 metres above sea level in Germany’s highest mountain village. 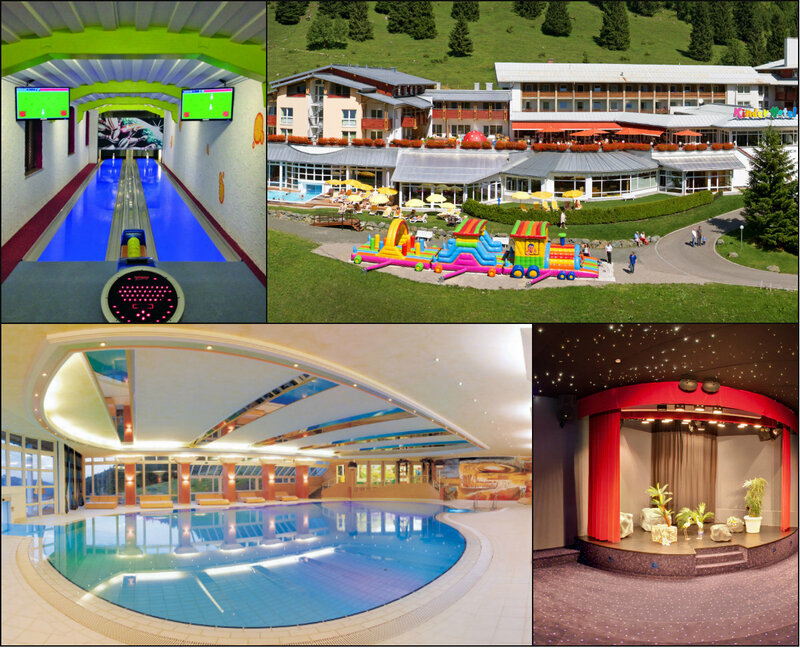 All of the hotel’s facilities are tailored to small guests including a zoo, a theater, a bowling alley, play lands for various ages, in-house childcare for children as young as 7 days old, an indoor children’s pool, a skating rink, hiking trails, and an adventure club. Tip: Plan to stay for a few days or longer. Once you arrive, you won’t want to leave. Although this is at Kinderhotel, I had to mention it again because it was Athena’s favorite activity of the entire trip. 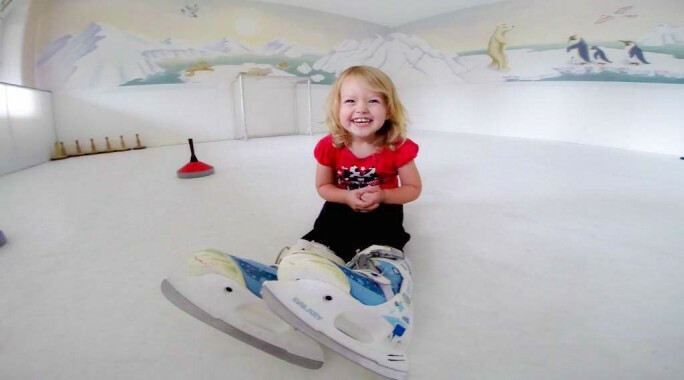 Skating at Kinderhotel put a huge smile on Athena’s face and she wanted to stay for hours. They provide the skates, helpful props, and hockey equipment. You just need to bring the smile. Tip: Remember to wear socks and a sweater. Even though it’s not real ice, this room is cooler than the rest of the hotel. There are more than 60 attractions to discover at Spieleland. 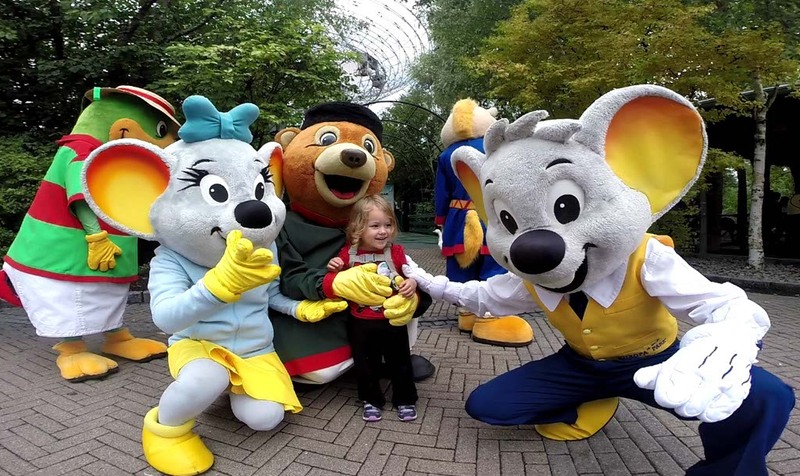 The park is organised around seven themes including Green Oasis, Kaleidoscope of Fun and Games, Fix & Foxi Adventure Land, Land of Discovery, Future World, Captain Bluebear’s Wonderland, and Interactive Land. A great layout makes it easy to navigate and toddler rides are sprinkled throughout the entire park. Tip: Don’t miss the jeep ride at the back of the property. Athena loved driving herself (with a little help from me) and although she couldn’t reach the gas pedal, she still loved being in control of the wheel. 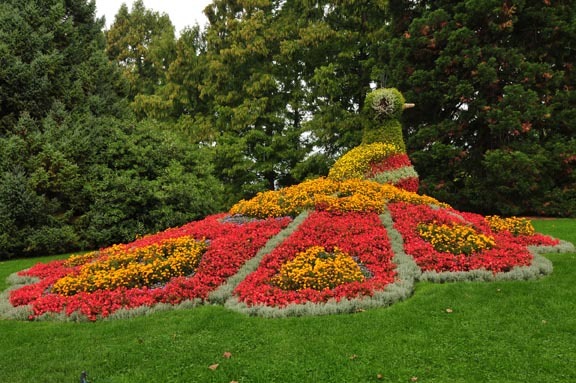 Allow yourself a break and enjoy a walk around Island Mainau or The Flower Island. The paths are alive with thousands of blossoms, shrubs, and trees. For children, there is a water world, a petting zoo, a butterfly house, and a children’s land with little houses and towers. Tip: There is a ship from Uberlingen to Island Mainau, making an Uberlingen stay a great option. Affenburg is like being in the Planet of the Apes. 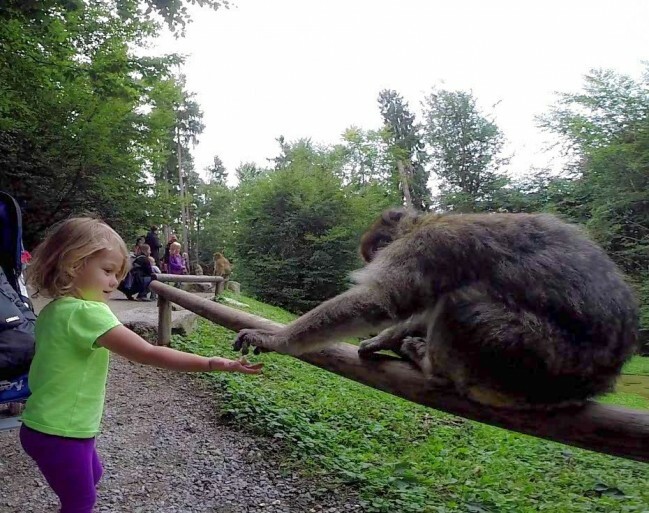 More than 200 Barbary apes live freely in a 20 acre wooded area called Monkey Mountain in Affenburg Salem. Here, you are able to see the apes in their natural environment, observe their natural behavior, and hand-feed them. Don’t worry if you’re fearful of the apes. There are trained staff to guide you in the process and answer any questions. Tip: Don’t bring a lot of gear to Affenburg. The hills are steep and everything needs to be packed in a bag before you can enter the gated monkey area. One of the world’s leading theme parks, Europa Park should already be on your radar. Consisting of 13 European-themed areas with typical national architecture, foods, and flora, Europa Park is like visiting most of Europe in one day. There are 11 rollercoasters for the fearless and entertainment by 250 international artists who preform magic, juggling, singing, and dancing for those who want to take it more calm. Tip: Europa Park offers a Baby-Switch program where one parent stays with the children, while the other one rides an attraction. 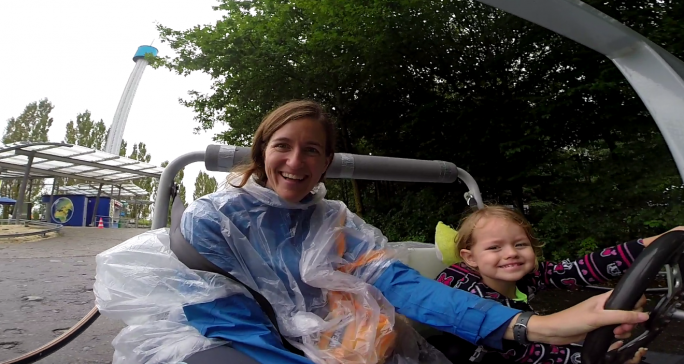 Then, the second parent enters the ride without waiting.